Fuerteventura - The Canary Paradise | About various things! Sand dunes as far as your eyes can see, the Atlantic water of incredible blue battering wild beaches, a fine white sand that dazzles you, huge waves that bring surfing enthusiasts to shore in a complete show – I discovered the Paradise of the Islands Canary – Fuerteventura. 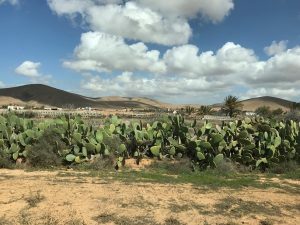 We arrived in Fuerteventura without knowing much about this island. 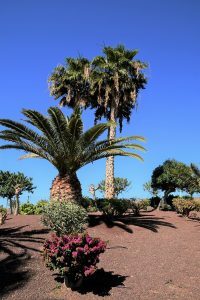 Some pictures and impressions seen on the internet, complemented by the desire to see other places in the Canary Islands, convinced us to spend four days on this island. I have to tell you something: I cried when I left Fuerteventura, and now I can not understand why we chose to stay here for only four days. In the morning in Las Palmas, the capital of Gran Canaria, we started with a rushed breakfast at the Verol Hotel‘s restaurant where we were housed and then, packed with the luggage we prepared, went to the port where we boarded Fred Olsen‘s ferry and for the price of 209 Euros – the price for round trips – for two people and for the car that we rented for 2 hours we bounded on the Atlantic waves toFuerteventura, the sunny island that would totally charm me. The sensation we had every time we went with a ferry from one island to another was very interesting. It is a strange feeling to see the island we were approaching from the distance and which resembled a model, then easy, easy, everything was gigantic, and I woke up in front of big blocks of rock, trying each time to imagine what is hiding beyond those bare and very big rocks. And this time also, the sensations were the same: I could not see the miles of beaches, the sand dunes, not even the buildings … and the island seemed lifeless from the ferry. 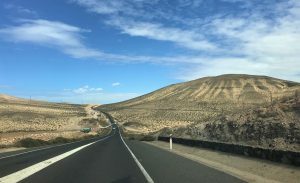 With these questions in mind I left the port, fixed my GPS and headed for Puerto del Rosario, the capital of Fuerteventura. Immediately after we left the harbor, we entered another world, and beyond the rocks we had seen from the ferry we encountered spectacular wild beaches, dozens of volcanoes asleep after the turmoil they had passed many years ago and a lot of sand , large arid areas, here and there with cacti vegetation. I entered the Jandia Natural Park and the view was great. This whole landscape was completely new to us, and the images that were running in the speed of the car in front of us were keeping our eyes on the window. How not to be impressed by the perfection of nature when, immediately after a curve, you had the impression that the road leads directly to the Atlantic, the landscape turns into chaotic volcanoes in front, left and right, right on the beach, in the immediate vicinity of the ocean. 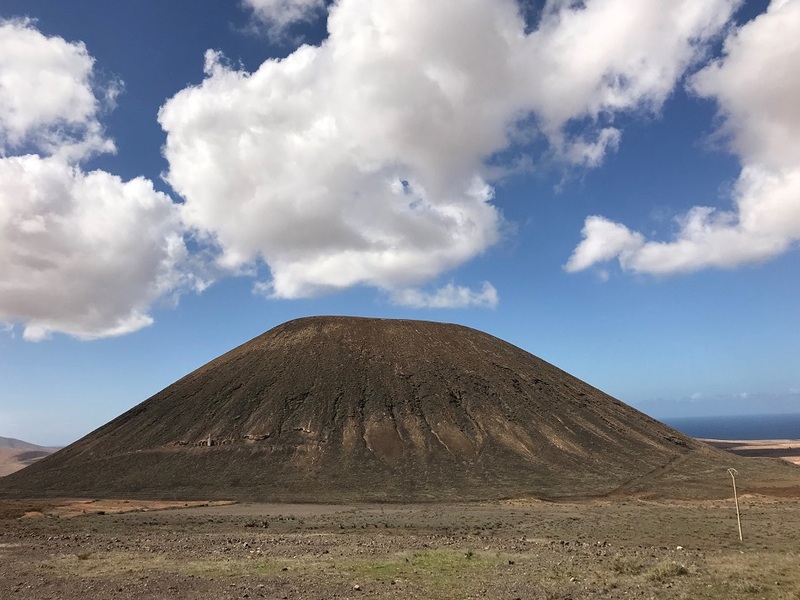 The imagination goes wild in trying to penetrate the past of this island a bit, when each volcano played an essential role in its birth and formation. We often realized that Dan lowered the car’s speed so that we almost stood still, admiring the footprints of the volcanic lava in time, and keeping a form that seemed to be done manually and thought perfectly. The first stop was Morro Jable, the resort near the harbor. 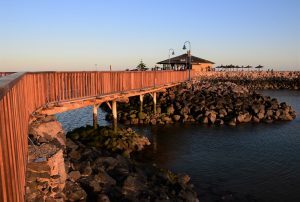 On the list of targets in this area was a whale skeleton, located close to the second visiting destination Morro Jable Lighthouse, both on the beach, in the immediate vicinity of the promenade, sprinkled with stores that are more offerable. 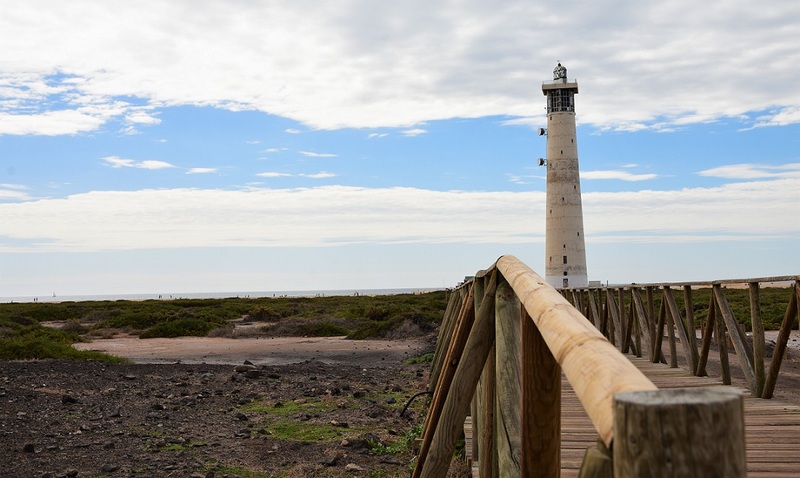 The lighthouse in Morro Jable is quite imposing, being the largest lighthouse in the Canary Islands with a 59-meter high tower. 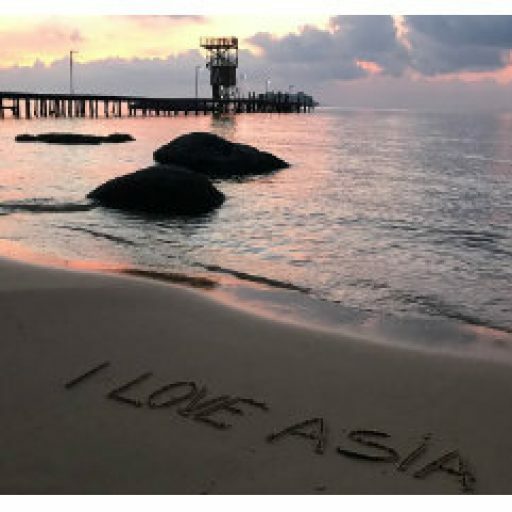 I think a visit here at sunset is more romantic and can produce spectacular shots. 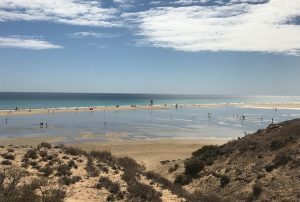 We left the lighthouse to watch the sea and went to more “exotic” places, looking for Jandia beach lagoons, very popular among water sports enthusiasts. The beaches of Fuerteventura are different from one another, with different water colors and other shades of sand, are extremely beautiful and many are wild. We continued to go to Costa Calma, a 1.5km long bay, whose beach I read it was very popular, especially for the lagoons that formed here. It is a place where the winds are very strong, which is why various surfing and windsurfing competitions are taking place here. But as our GPS does not communicate with us in a common language, we chose to admire the beach from a large dune of sand. 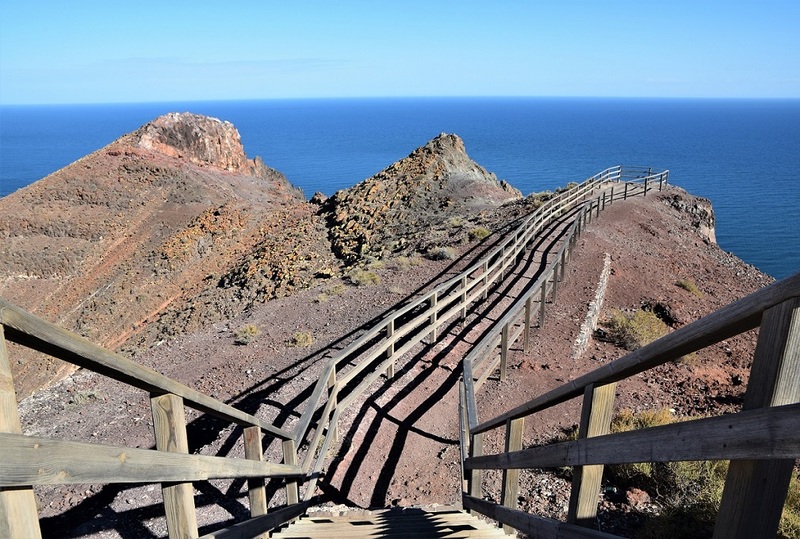 The sun had become terrible, and we had many places to reach before the capital of Puerto del Rosario. 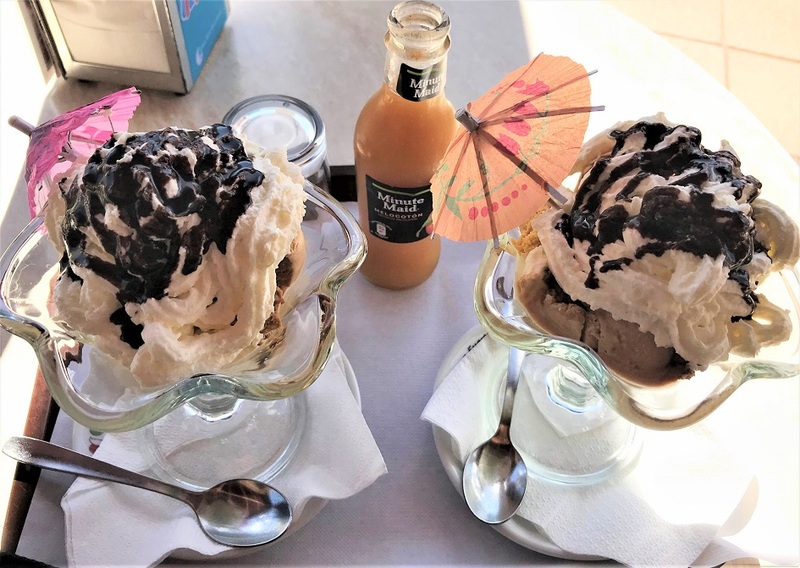 An ice cream served on one of the terraces of Pajara gave us the lost powers under the sun of the mid-day and we went back to the road. An interesting hotel, at first glance, drew our attention and prompting us to a new stop: Playtas Hotel. We also read on the internet some information about this hotel complex and the conclusion was that here would be heaven on earth and that we must get to see the miracles of gardens, flowers and exterior decorations. We did not regret, the reality of this hotel exceeds the imagination: palms that guard the promenade alleys at the base of the beach, very large and beautifully decorated swimming pools, beautiful flowers everywhere, shops and restaurants with many options, vast golf courses, diving center, all these complemented by the Atlantic Ocean that cut its waves over the surfboards in full swing. Very close to this wonderful place, at Tuineje, about 6 km, is the Lighthouse of Entallada, and I did not understand why Dan insisted so much that we would go see another lighthouse, especially because I wanted to get to Puerto del Rosario faster where I booked a room at a hostel that I had not found any impressions about in my internet searches, I only read a few opinions about the location restaurant, which would be in the top of the visitors. Okay, be it, another lightjouse… changing impressions in the car about the island we were and that we liked so much, I saw in the distance, up, on a lava mountain, a very beautiful building that looked pretty much more modern castle, and Dan, excited, told me that there is the lighthouse and we will reach him shortly. Our joy lasted until we started climbing and we realized we were on a very narrow road with many curves and steep slopes, a bit difficult to climb, although the road is paved and in very good conditions. Again we were speechless when we arrived in the parking lot where we were, the lighthouse with the three very beautiful buildings and the Atlantic Ocean. 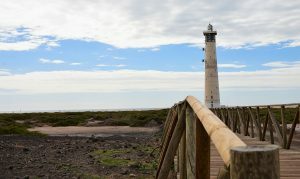 The Entallada Lighthouse is built on a 200-meter high cliff and is the closest place in the Canary Islands of Africa, 100 km from this continent. 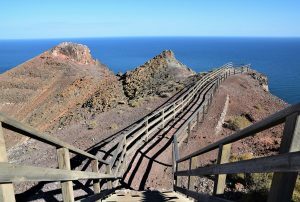 Here is an observation point that offers spectacular views of the ocean but also of the entire area with volcanic mountains and valleys dug in. I loved this place enormously and I would have wanted to get here at sunset. As long as I stayed and looked around, there were two athletes who climbed the mountain in the running, breathed the clean air from the top of the cliff and left. We wholeheartedly admired them and followed them, except we were driving. We overtaken them and continued our journey, equally dangerous and downhill, and when we reached the main road we stopped to take some pictures. The two athletes came to us and, frankly, I was going to applaud them as at a marathon. 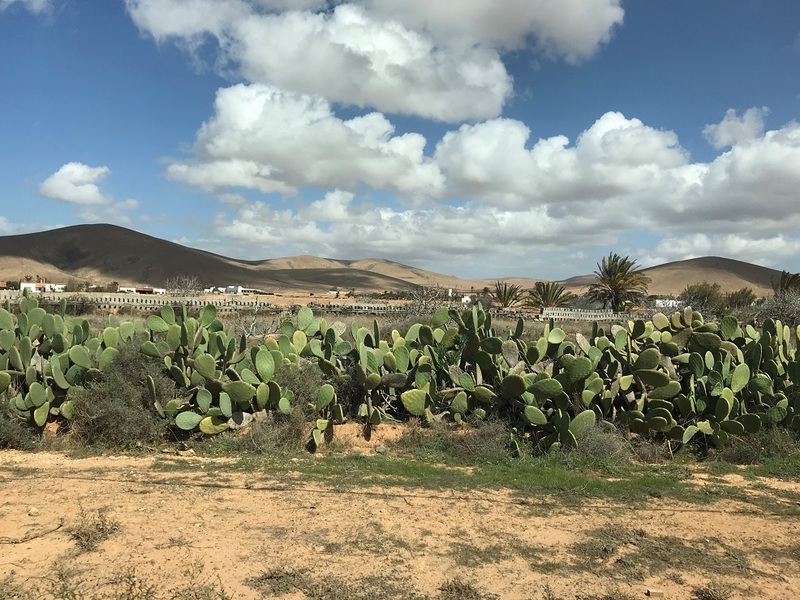 All good, we go to the capital of Fuerteventura and nothing stops us, even the evening approaches, and the fatigue and the heat of the day has broken us down. But, surprisingly, after just a few curves, I read on a large panel that it was very close to Bio Bio of Aloe Vera, Green Aurora. I just had time to say I just wanted to go there and a few seconds later I was on my way to the farm. Impressive place! Practically, in the midst of desertion, guarded by volcanoes and torrid sunshine, a family business has developed that attracts many tourists, potential customers, who come here to see what such a farm looks like. Just outside the place where we parked were two coaches, and we stumbled in the midst of some presentations of aloe vera plants. 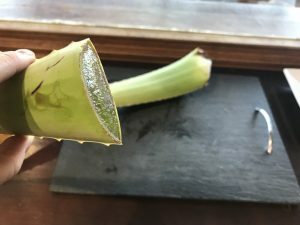 A friendly lady came up with a tray of aloe leaves from which the sapwood flowed and put my juice in the palate, explaining to me that I could use it as a hydrating cream all over my body. Do you want to know how I was in two minutes? A pack of aloe vera, sticky in the first phase, then very hydrated 🙂 I still did not want to put on my hair, nor did I want to throw it because otherwise I would have given a lot of money on such a treasure. The tourists who arrived there before us were very interested in the products for sale in the store but also in the ones prepared to be tasted, so they went late enough to their cars, enough time for us to do some outdoor tours, to see some aloe cultures, and the olive tree orchard behind the main farm building. That nice lady, whom we later found out to be called Manola, guided us a little through the farm, asked us to stay until the many and noisy tourists left, then left us alone. It was the first time I was visiting such a farm and I was curious to find out more about this place. 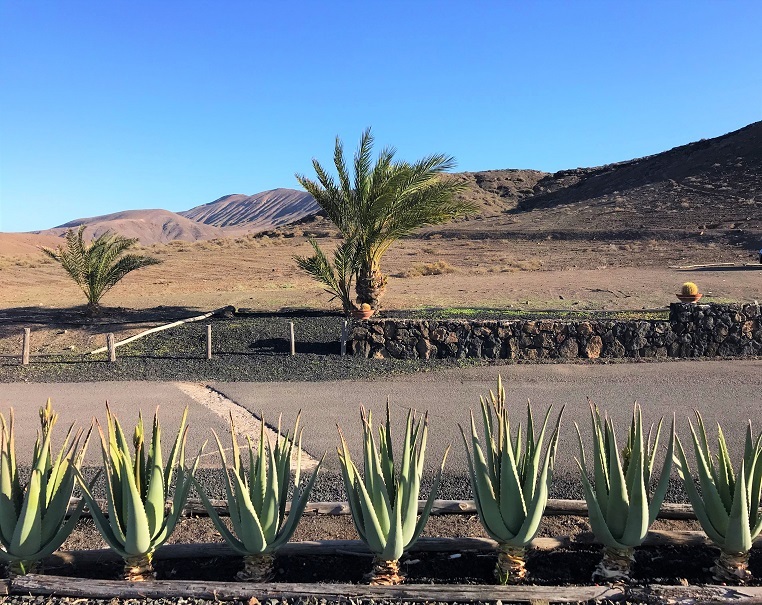 That’s how we found out that the Green Aurora farm stretches over an area of ​​30 hectares dedicated to organic aloe vera crops and lies between two special wild bird protection areas. 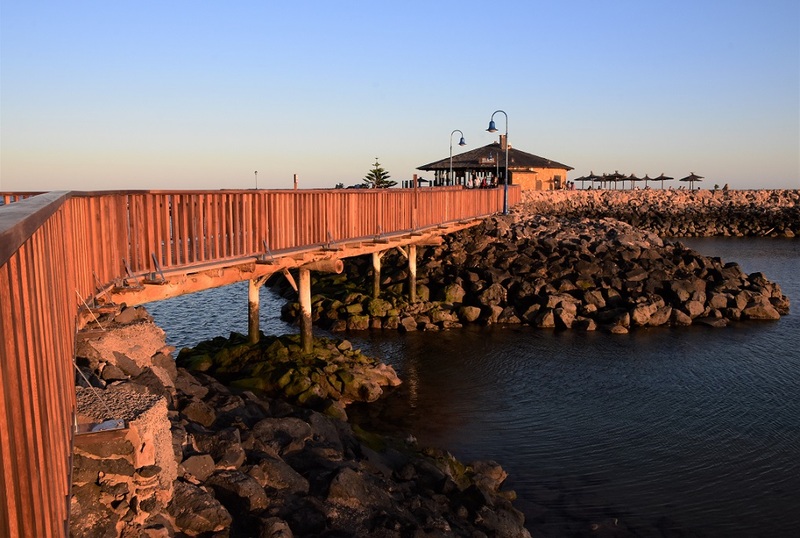 It was built on the site of a former tomato farm, is a family business dating from the mid-twentieth century, and the current owner is a young architect passionate about agritourism. 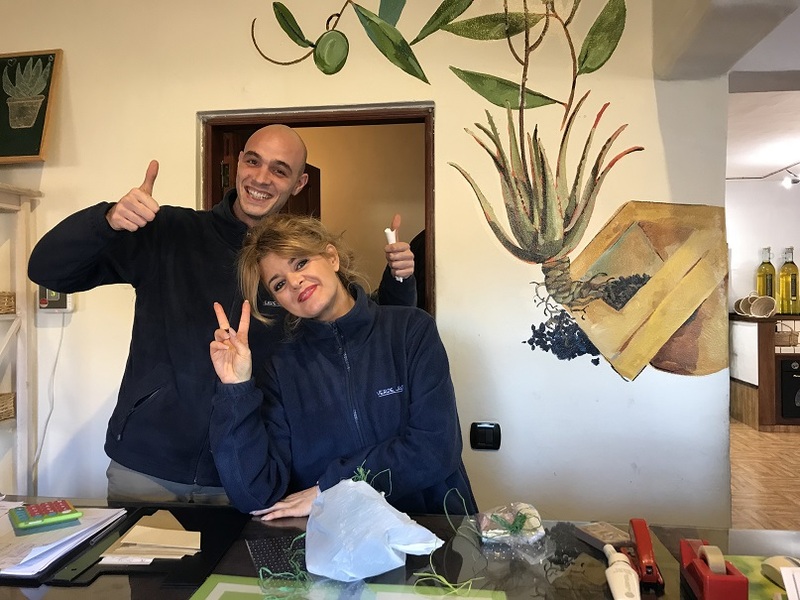 Immediately after the cars went to another destination, in a complete silence, we were taken over by Manola and Ivan, the two youngsters who were in charge of the business, sales and customer interaction, and we spent good times with them telling stories. 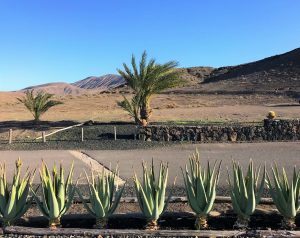 They told us that their Aloe products are all the better as the climate and the characteristics of the volcanic soil help. We were invited to test the various products that were put up for sale: organic mojo sauce, chocolate made from organic products, olives and many cosmetics. While Dan enjoyed chocolate with salt, I picked up shelves with creams, soaps, essential oils, gels, all natural. Of course, I left there with lots of shopping, but also with many souvenirs I got from Manola, which I also became friends with. A little before our destination, we stopped for a few sunset shots. We arrived at the hotel in the capital of the Fuerteventura island totally impressed by this island which, in one afternoon, offered us so much new stuff. But surprises in Fuerteventura have just begun. I will tell you more in the future article. I embrace you with love and leave you with more photos here.